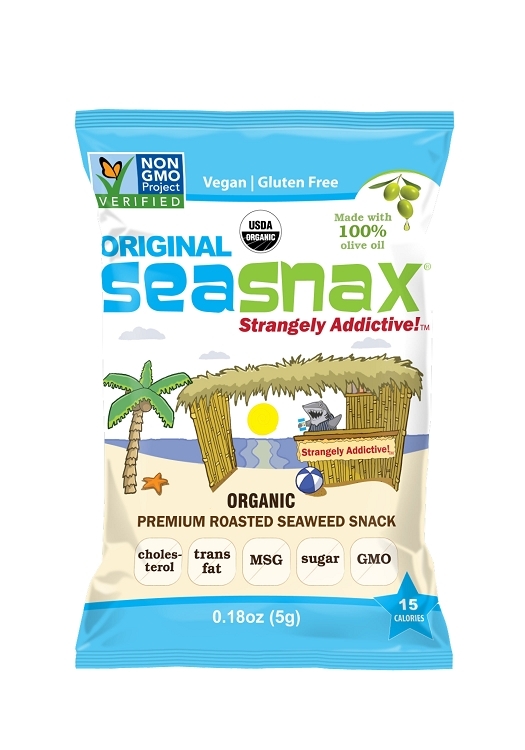 SeaSnax is an award winning premium roasted seaweed snack for the entire family, We begin with sustainably-grown organic seaweed and roast it to perfection with just a touch of organic extra virgin olive oil and a pinch of sea salt. There are no artificial colors, flavors, preservatives or genetically modified ingredients (GMOs). SeaSnax is a low fat, cholesterol and sugar free, crunchy and delicious snack enjoyed by adults and kids alike. 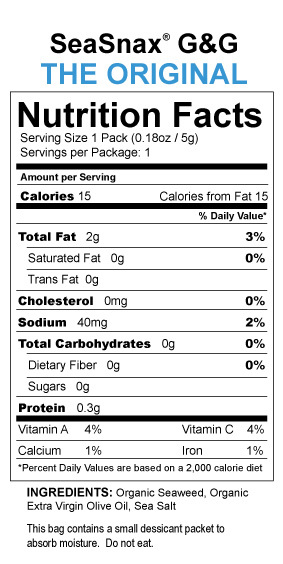 So dump the chips, and snack on with SeaSnax! The Original Grab & Go 6-Pack includes 6 convenient-sized packs that are ready to be grabbed and thrown into your bag or lunchbox! Enjoy SeaSnax wrapped around rice or other cooked grains, in your favorite soup, salad or sandwich, as a pizza topping - or just right out of the bag!